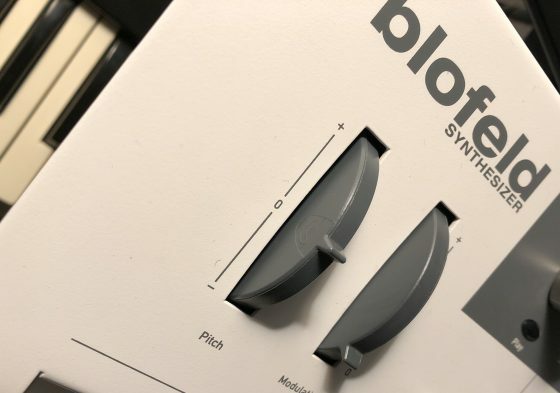 One day, my trusty Blofeld started drifting out of tune – pretty unusual behaviour for a digital synth. 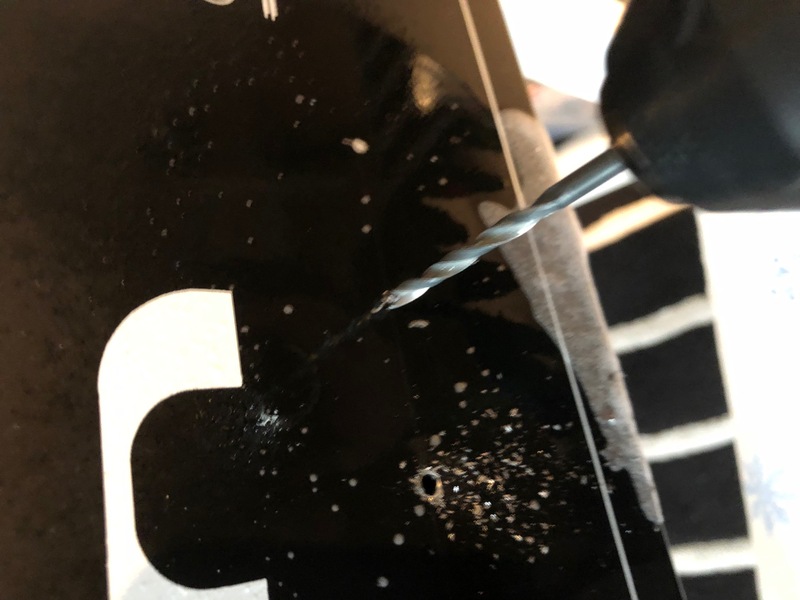 Even if it was in tune first, the drifting started as soon as I touched the pitchbend wheel, so I suspected that this was the culprit. Opening the Blofeld (all 18 screws on the bottom – remember? 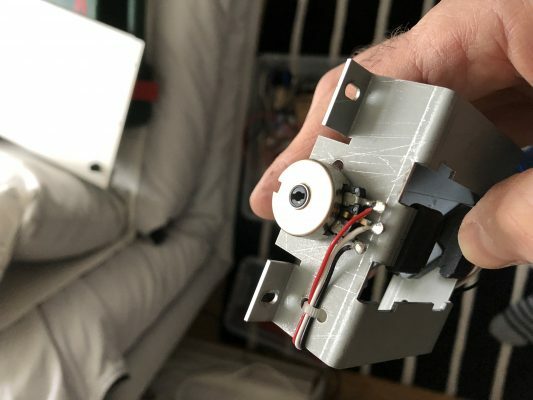 ), removing the wheelbox, and measuring the pitchbend pot confirmed that the potentiometer was indeed damaged – while an end-to-end-measurement showed 9k, the end-to-mid-resistance could be virtually anywhere, screaming „Mechanical Damage!“ to me. Although I measured that the wheel now zeroed around the pot’s 5kOhm mark, it had most definitely shifted slightly, so I started looking for the calibration routine. There has to be a calibration routine, right? But the good Blofeld seems to calibrate on power-up and on the first usage of the wheel – no calibration routine for the wheels needed. Phew! 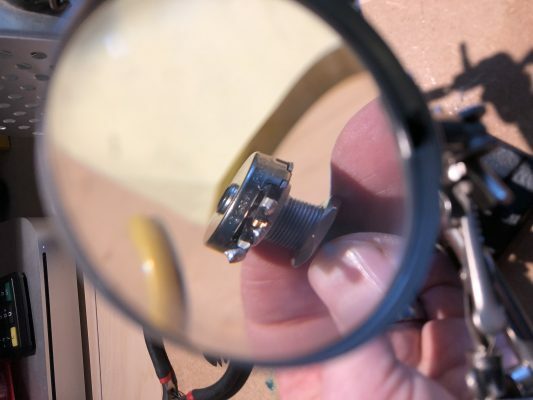 Important note: Be careful to ensure that the Molex connector for the wheelbox sits correctly – when I pulled the plug, the plastic holder for the pins got pulled towards the edge of the PCB so when I reattached the plug, it did not sit correctly. Rule of thumb: If the plastic of the connector is visible from the top, you might want to push it back under the PCB. 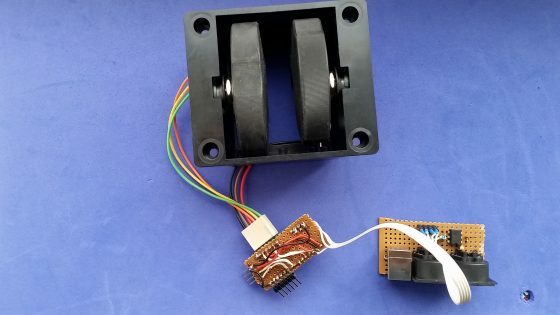 This is the first post in a series of small projects for retrofitting my JEN SX-1000 monosynth with a simple and cheap MIDI interface controller. Read about the basic idea here. Today, I am designing and building the micro-controller brain of the Jenny retrofit – if you are capable of basic soldering, it should not take you more than two hours and a couple of very common electronic parts. 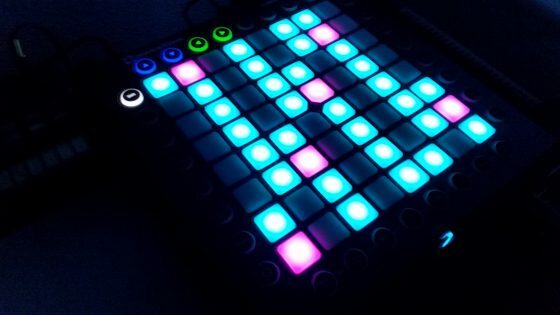 A tutorial for using the Novation Launchpad Pro as a synth keyboard. 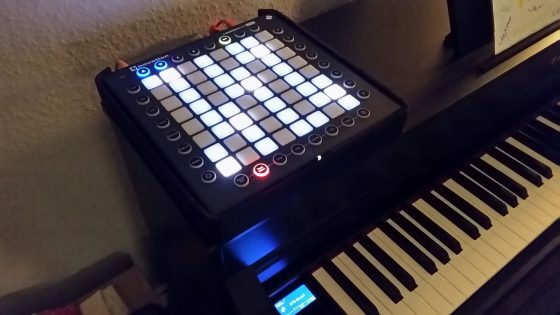 Last summer, I borrowed a Launchpad to take along on my holiday, and fell in love with it. The Launchpad is a new instrument; you have to relearn the movements of your fingers. These considerations and patterns are supposed to make learning easier. I am not much of a musician, nor do I know that much musical theory. The few musical skills I use these days are mostly self-taught. When I started discovering synthesizers, I got myself a table of the basic minor and major chords and their inversions. This helped me produce the first harmonies, just like someone learning the first chords on a guitar. Building my own wheels for the Launchpad Pro – once again, with style. 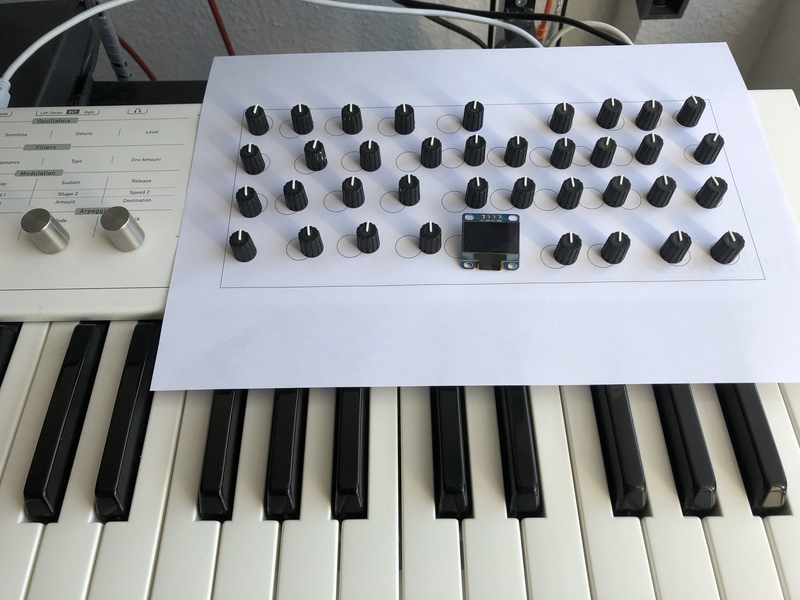 Two weeks ago, I started a little sunday afternoon project, sucessfully building my first own MIDI controller – a pitch bend/mod wheel/midi merge device to serve as a companion to my new Launchpad Pro. 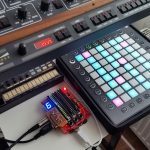 Using an Arduino, a prototyping board by SparkFun, and community-made code, I succeeded with surprisingly little effort – the most time-consuming part was finding and fixing the errors I had clumsily soldered into my pathetic excuse for a MIDI interface. But it worked! As they say, the worst thing that can happen is that you succeed. 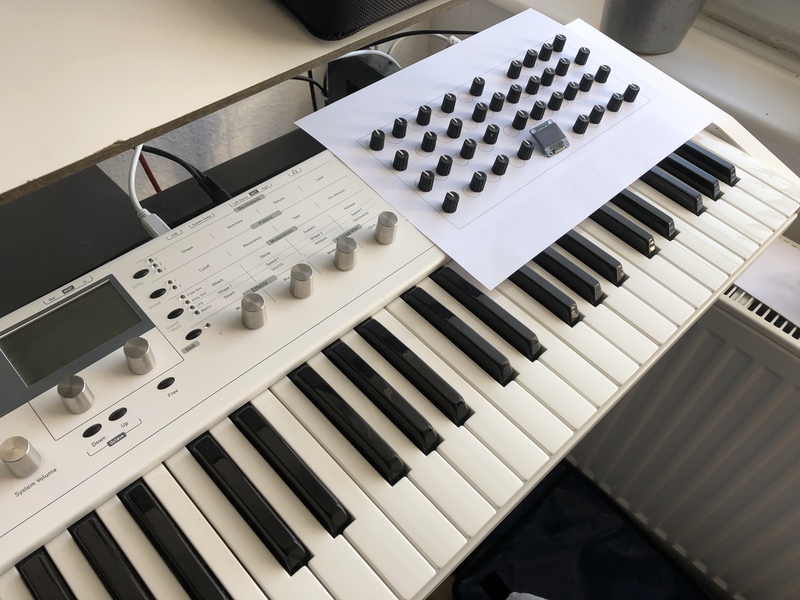 The quick and easy success made me hungry for more – I started a MIDIfication project for my JEN SX-1000 monophonic synth, based on a Teensy, another microcontroller board that can be used within the Arduino development eco-system but is much better suited to MIDI/USB applications. This is actually a side project to that. I looked at my self-made controller and noticed that it is usable but not very playable – I wanted real wheels for the Launchpad, not sliders. So I decided to redo a V2.0 of the controller, based on the Teensy. I have bought a Launchpad Pro, and am still trying to figure out how to play a synthesizer with this thing. (More on this in another post.) It’s like starting over with keyboards, only with a better understanding what this is getting at. Simply great. One thing I don’t like about the Launchpad is that it may give you velocity and per-note pressure sensitivity – provided your synth is capable of interpreting it – but takes away the traditional performance controls of a synth keyboard: the good old pitch bend and modulation wheels we have seen as our goddamn right as keyboard players ever since they were introduced with the Minimoog. So I decided to build my own simple Launchpad Companion Controller, based on an Arduino. 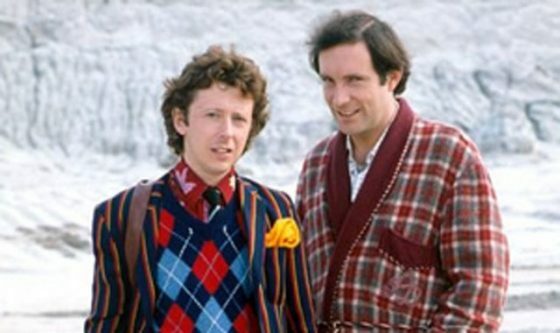 You may know these two gentlemen. If not, grab your VHS player, rent out the BBC’s „Hitchhiker’s Guide“ series, watch. Hurry! If you have tried to send a message, or use the shop, you may have noticed that it did not work in the last two days – or, you didn’t notice, and are still waiting for an answer. A conflict between the Contact Form 7 plugin, which I have rediscovered, and the WP Cerber security plugin made some readjustments necessary. It should all be fine again now. On the plus side, I had the opportunity to overhaul my shop pages, so if you are interested in an update for the Akai AX-80 or Kawai SX-240, it is easier to find and order. Concerning the Matrix-6, there is news: A very old bug in the firmware has finally been found and eliminated; it made it impossible to set negative DETUNE (parameter 12) values. Oddly enough, nobody except Gregor from Stereoping ever seems to have noticed, so there is no harm in continuing to use the firmware V2.14. 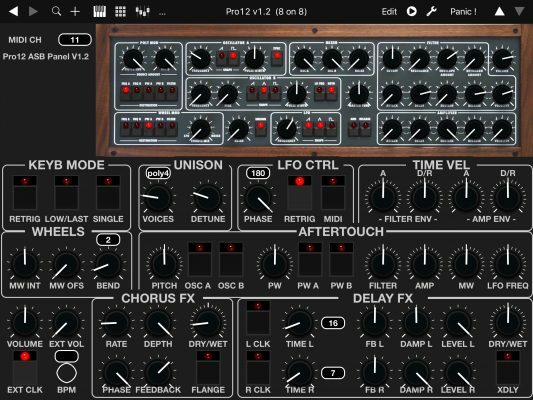 There is a new version V2.15 though – Bob fixed the bug – so if you feel that you need negative detune values, you may order that. 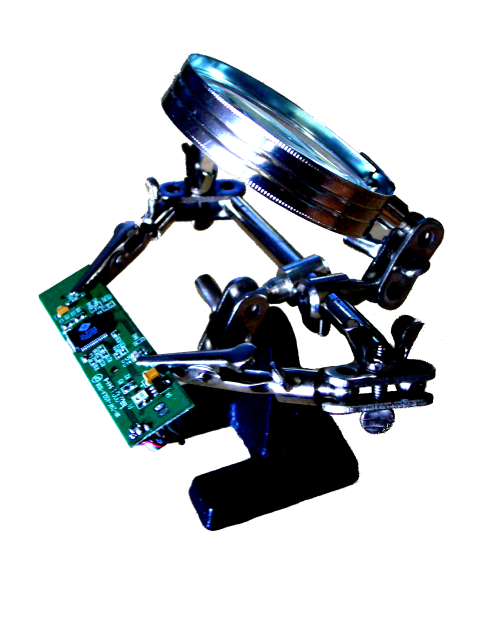 Or you may take the opportunity to buy one of the V2.14 firmware PROMs extra cheap – while stocks last.